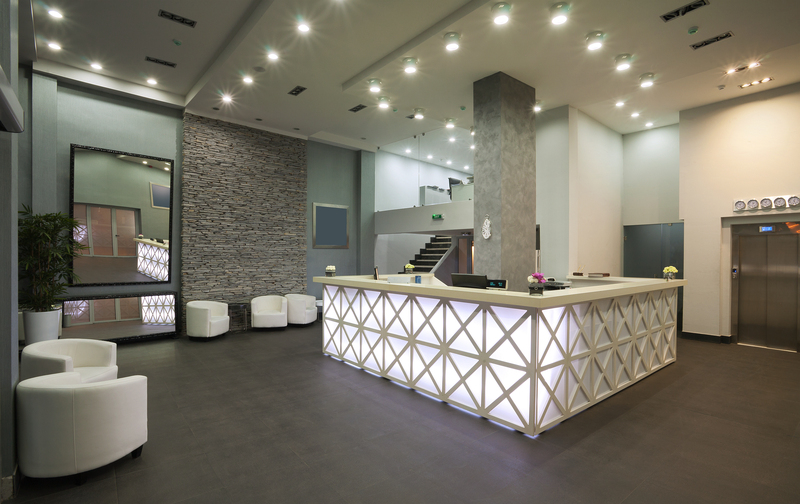 Designing the reception area of any establishment should involve a large amount of planning. It’s arguably the most important space to get right, since this is where many potential clients will create their initial opinions and impressions of the business. You should aim to create an area that combines comfort with elegance and sophistication, whilst ultimately trying to make your reception as inviting as possible. 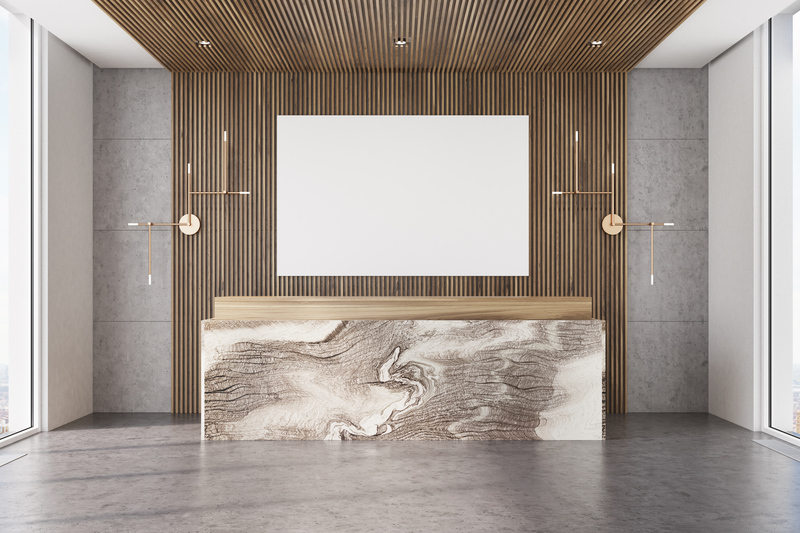 There are many ways to create a space that’s both brand aware and attractive; enlisting the help of a professional designer will provide you with the advice and expert knowledge you need to achieve this. You should aim to create an area that combines comfort with elegance and sophistication. One of the most important steps in the design process is to incorporate furniture of the correct quantity that’s both comfortable and practical. Being aware of the amount of visitors you have regularly should give you an idea of how many chairs you need. Investing in good quality, durable seating is worthwhile, since you’ll replace them much less often and they will stay looking clean and tidy for longer. If budgets allow, we’d also recommend installing luxury materials such as granite and leather for chairs, coffee tables and desks since this provides a more sleek, polished finish. It’s also important to consider the space between furniture items; you’ll need to ensure that there’s enough room for manoeuvrability – including that of wheelchairs. Install luxury materials such as granite and leather for a more sleek, polished finish. Glass dividers are becoming increasingly popular amongst office reception areas, since they look professional yet provide that much-needed privacy for important meetings or discussions. Some offices like to use floor-to-ceiling dividers for full privacy, whilst others use half-height dividers to create a more open space whilst providing less privacy. 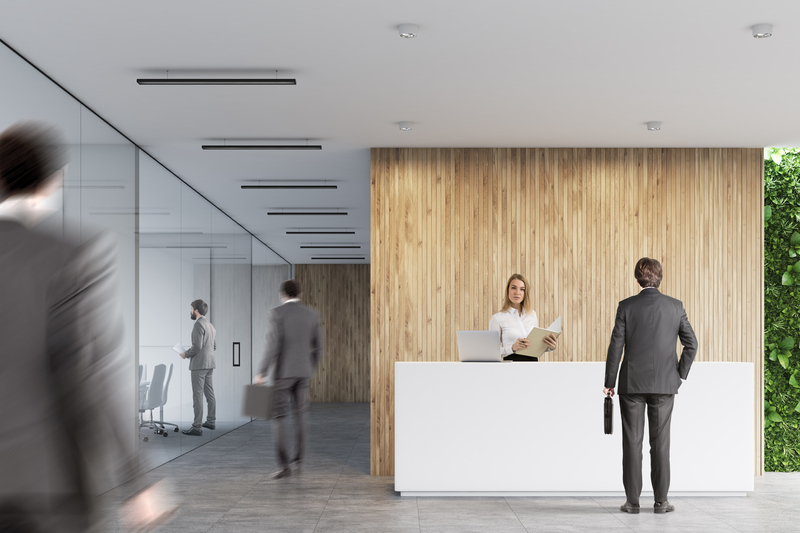 Investing in a large, spacious desk will not only gain appreciation from the receptionist, but it will also create an uncluttered appearance and will make the reception area much easier to find. Additionally, adding signs around the entrance directing visitors to the desk will help to avoid confusion. Invest in a large and spacious desk, as this will help to create an uncluttered appearance. 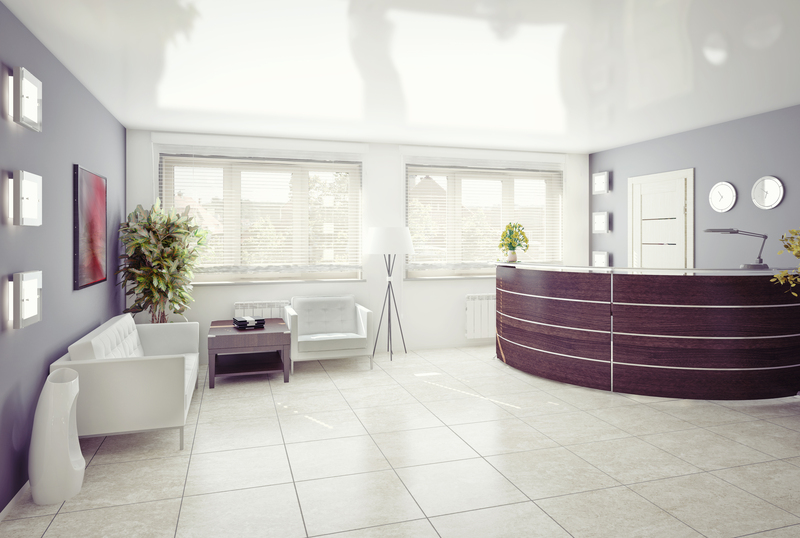 Branding is an another important aspect of reception design, particularly within offices. 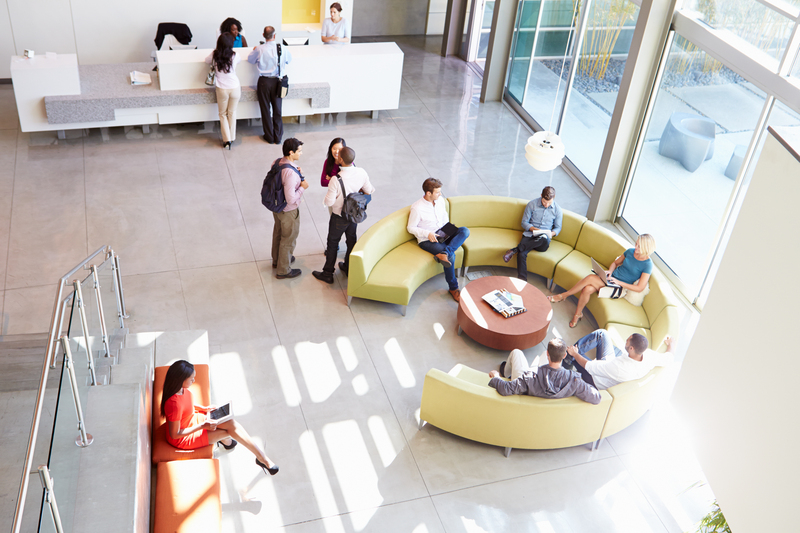 Visitors should get a feel for the company and their values as soon as they walk through the door. The company logo should be visible from the entrance, preferably being a prominent feature in the design. Using an unusual texture for the lettering or installing backlights behind protruding letters will help to achieve this; but remember to keep it looking professional. Using brand colours in the design will fit in nicely beside this, perhaps using one of your colours to paint a feature wall or within your furniture. Creating brand awareness will keep your space looking professional and well looked-after. It’s also a good idea to display branded material, such as branded pens or products/work you’ve had published in a glass cabinet to further incorporate personality into the design. Creating brand awareness will keep your space looking professional and well looked-after. It’s important not to underestimate the importance of lighting. Make sure to include as much natural lighting as possible, whilst using spot lighting where appropriate. The right balance of lighting will enhance all aspects of the design. It’s a good idea to combine natural lighting with the incorporation of plants, since this will add in an element of biophilic design, portraying your company as one which cares about its employees and clients. Make sure to include as much natural lighting as possible. At Cobus, we can help you create a reception area that’s professional and stylish yet still expresses your personality as a brand. To contact us, please click here.